Galaxy S10 Plus Real Image Leaked to Reveal Front Design - Playfuldroid! The blurry image shows that the Galaxy S10 Plus sitting inside a case. It reveals that the smartphone will be coming with a marvelous screen with reduced bezels surrounding it. The top-right corner of the phone features a cutout for housing two selfie shooters. The display appears to be curved towards the edges. 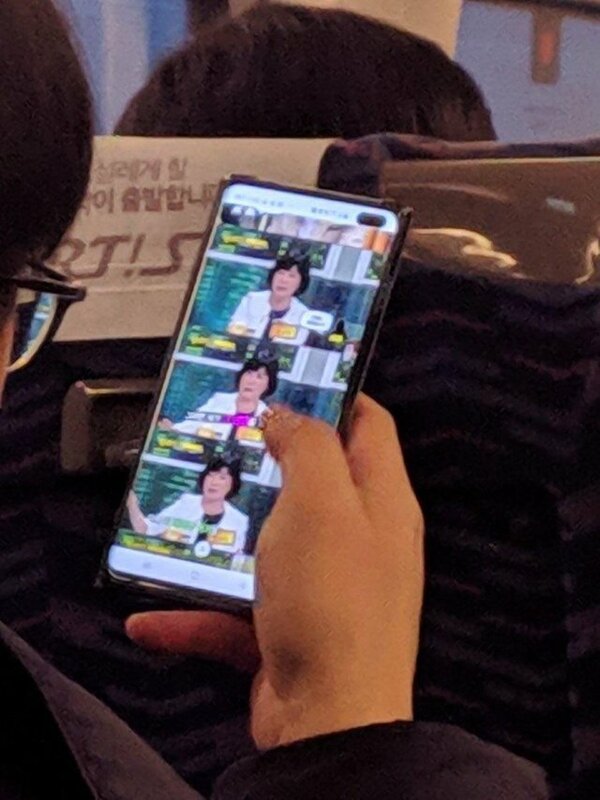 The image of the phone matches with the renders of the S10 Plus that have appeared in the recent past. The marvelous screen of the Galaxy S10+ will be equipped with an in-display fingerprint reader. The Snapdragon 855 chipset will be powering the handset along with 6 GB / 8 GB of RAM. It may come with up to 256 GB of storage. The handset is expected to house a 3,500mAh battery. It will come loaded with Android 9 Pie OS that is flavored with Samsung’s new One UI.